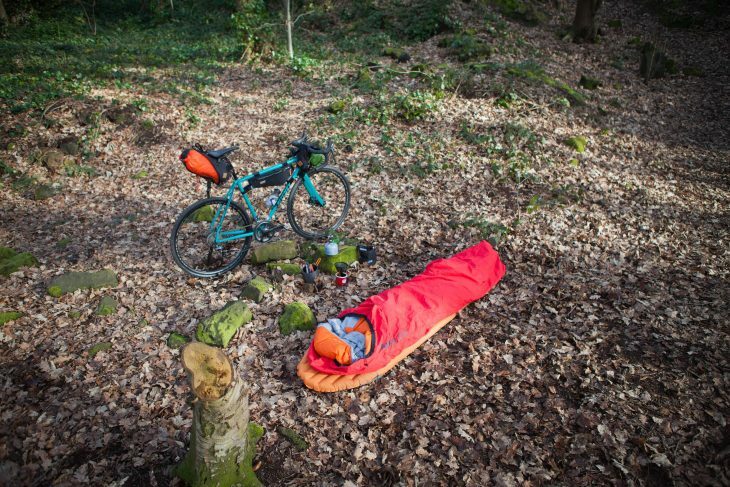 I’ve got fond and completely rode-tinted memories of my early bikepacking experiences – long days and short nights, usually spent on a hacked down bit of Karrimat, or even a scrap of bubble wrap under pressure points. I was young, willing to put up with some discomfort to minimise how much I carried, and there were few options available for truly lightweight sleep anyway. Everybody was surfing. Or something like that. 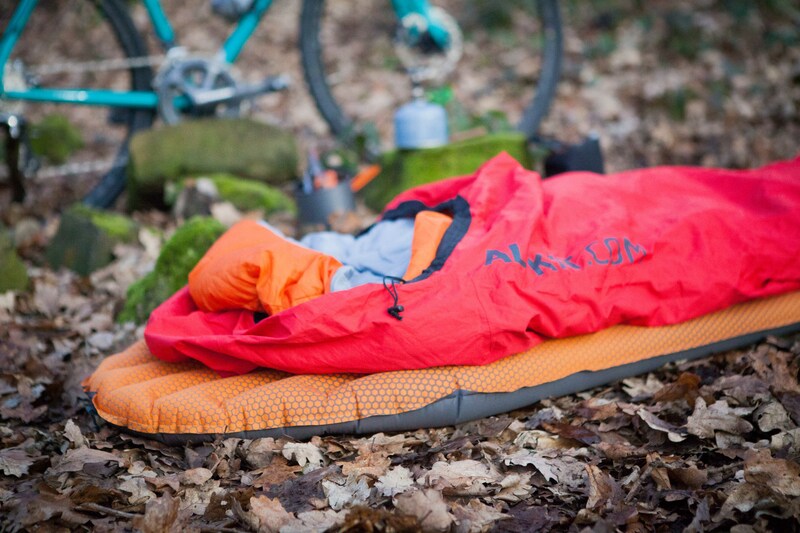 A couple of decades on and there is a whole new range of lightweight, compact sleeping mats, which combine some form of built in insulation and inflating to create a comfortable and warm option for a good nights sleep under the stars. Exped claim the Synmat HL M is the world’s lightest mat at its warmth and comfort levels. 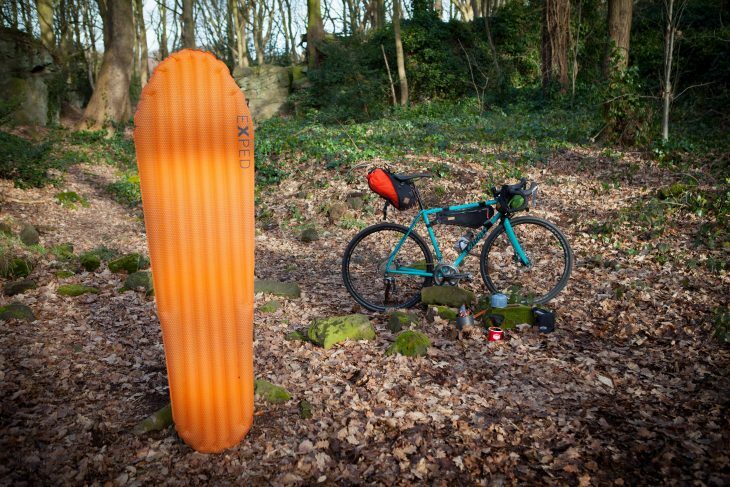 Weighing in at 450g in its stuff sack with pump, and not being much larger than a 500ml can of beer, it might be a bit weightier than my old scraps of mat, but it is significantly easier to pack on a typical bikepacking set up. 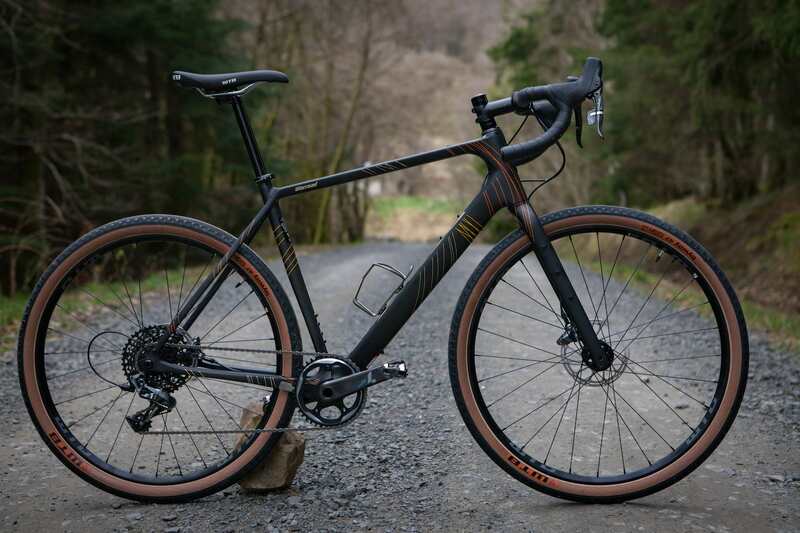 On various trips over this summer, I’ve shoved it into saddle pack, bar holster and a frame bag, depending on the set up I chose to run. The mat is a tapered shape, which worked well for my 6ft height, and with plenty of room for my shoulders. 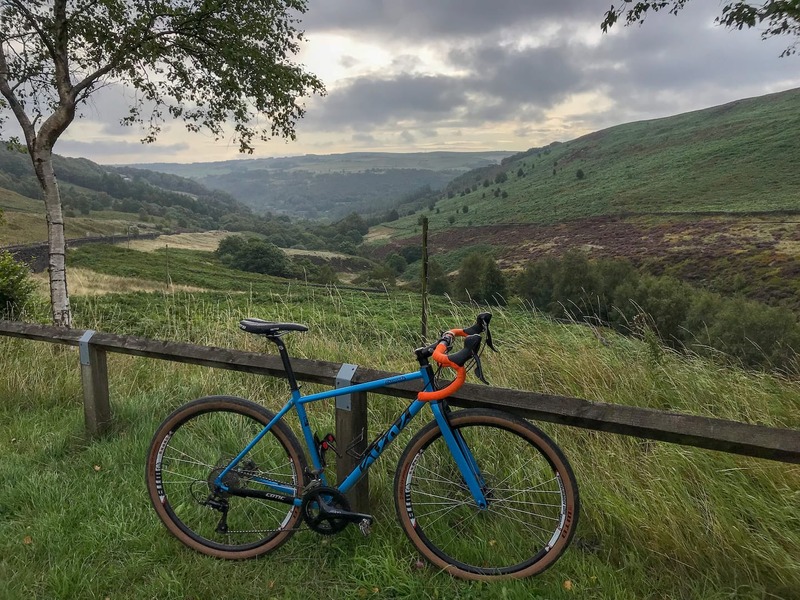 It just about fits inside an Alpkit Hunka bivvy bag with me inside it too, but worked better outside – largely due to the 7cm inflated height not giving me much wriggle room. There are no such issues in a bigger bag/tent, obviously. 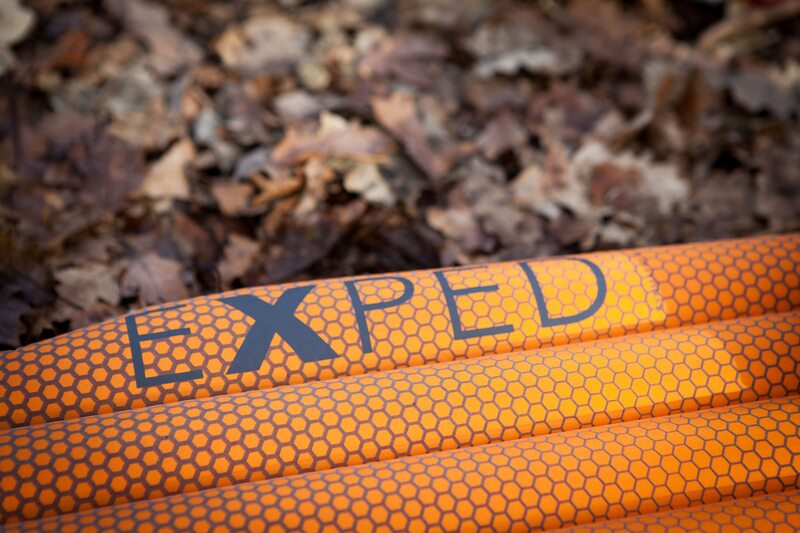 Note that if you require a larger (or smaller) mat, or one with lower temperature ratings, there are plenty of options offered by Exped. The Synmat, as the name suggests is filled with synthetic “Texpedloft” microfibre insulation. 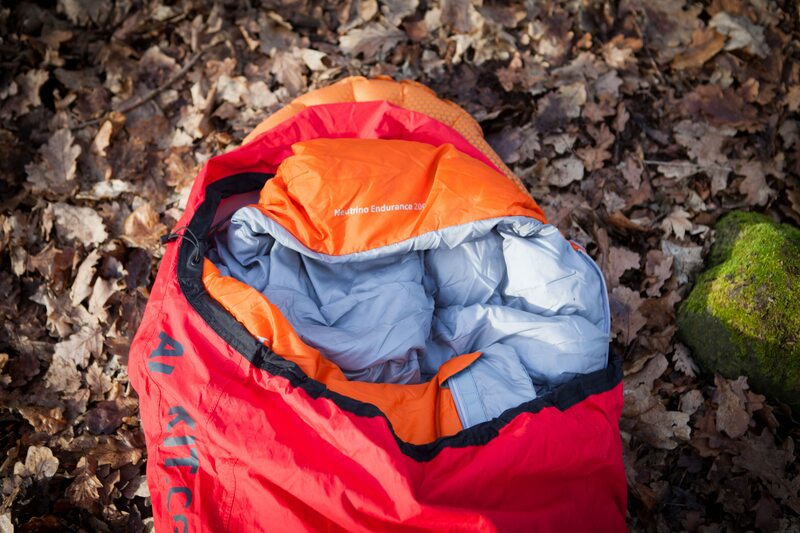 “Filled” is possibly not the right word – the mat doesn’t feel like a classic Thermarest-style self inflating mat. Straight out of the stuff sack, the Synmat feels slightly thicker than a pure air mattress, but not by much. Once inflated (more on that in a second), the mat has the look and feel of an air mattress, with ribs running down the length of the mat. Those microfibres are hidden in there still, though, and designed to add a significant amount of warmth to pure air (which is definitely on the chilly side once temperatures begin to drop). 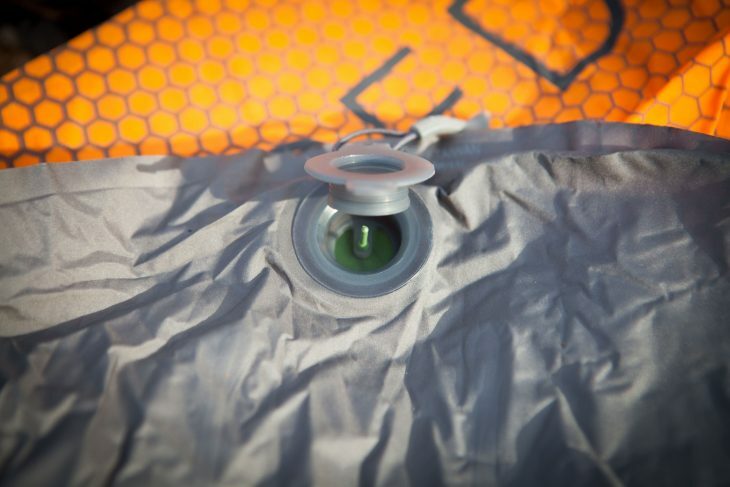 The Synmat inflates via a simple one way valve at the top. 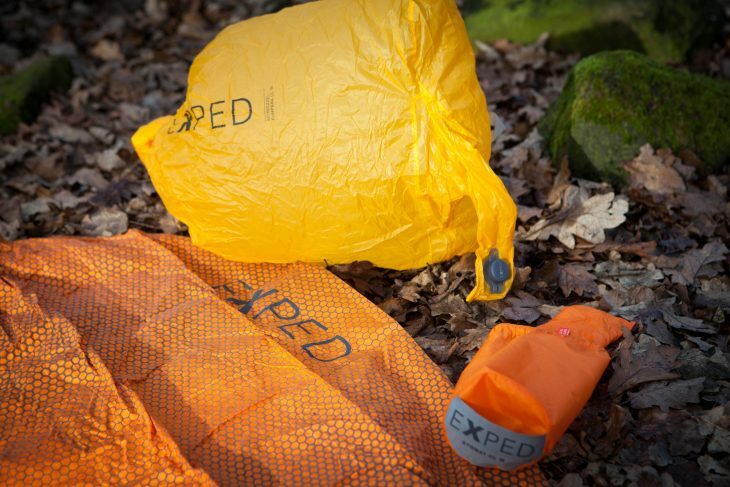 Exped provides a “Schnozzel Pumpbag”, which allows you to inflate the mat quickly, while preventing humidity from your breath affecting the insulation. It also doubles as an ultra lightweight compression stuffsack, although I stuck to using the regular stuff sack – it was easier to create a compact package. Deflation is via the same valve, using a small zip puller tab to hold the valve open while you squeeze air out. My first experience of the Synmat was a joyous one – a perfect early summer evening, a lazy bivvy and plenty of time to sit around on the mat before eventually falling asleep. The Schnozzel Pumpbag works well, quickly inflating the mat with minimum effort, although it is impossible to do this in a way that doesn’t look like you are trying to wrestle the thing into submission. I usually found that I wanted to top up the pressure ever so slightly with a single breath. Lying on the mat is extraordinarily comfortable – of a level that I’ve never really had on bikepacking trips previously. It is up there with and probably surpasses what I’ve used for car-camping in the past. I often like sleeping on my side, and even when rolled over, there was sufficient support for my hips and shoulder. The top of the mat is finished with an anti-slip grid-like coating and is soft to the touch, so if you use a quilt rather than sleeping bag, it is pleasant enough next to the skin. One way valve. That zip pull tab tucks in and holds it open when it comes to deflating. A neat and simple solution. 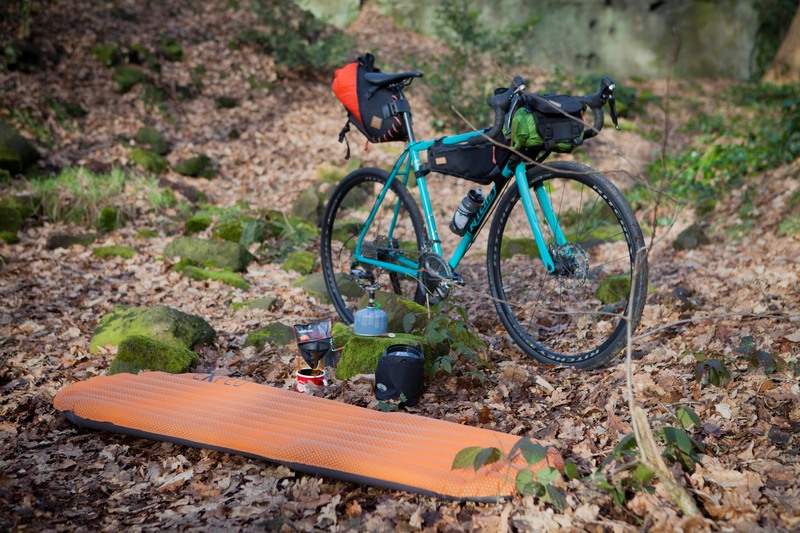 On longer and more serious rides, the comfort that the mat brought didn’t just mean a better night’s sleep, but also meant a more enjoyable second day. A well rested Tom, without the aches and pains and pressure spots rides better than a tired and beaten up one. Who knew? The only downside to the Synmat was it was that much harder to get up and get going as it was so comfortable. I’m very pleased to say that temperatures haven’t come close to -6ºc so far this year, but the Synmat is noticeably warmer than previous air only inflatable mat. I noticed that I was sleeping in a little less clothing for a given temperature/sleeping bag combo. Mid summer to mid winter? The temperature range on the Synmat HL should cope with most the UK can throw at it. In fact, my experience has been almost completely positive. The only downside was when one night out, I managed to puncture the mat. Due to the volume issues mentioned above, I had the Synmat under my bivvy bag and must have nicked it against a small rock, putting a 5mm or so tear into the fabric. The mat comes with a puncture repair kit, and the following day I patched it up following the instructions. I’m happy to say that we are back holding air, but I’ve resolve to be a little more careful in the future, and have bought a small lightweight “groundsheet”, to fit under the mat’s footprint and try and prevent any future issues. Having said that, the puncture kit fits in the stuff sack, and repairs are easy enough to do in the field, so while I’ll obviously try avoid them in the future, they aren’t a complete disaster. The only other issue I experienced was completely self inflicted. At the end of a long day, I pulled the mat out of its stuff sack, rolled it out and went to grab the Schnozzel Pumpbag, only to realise I’d left it at home. Fortunately, the Synmat inflates just as well with regular lung power, although it isn’t recommended for long term use, as moisture can get trapped inside the mat, reducing its thermal properties and potentially causing mould/mildew type issues like you find on a hastily packed away and forgotten about tent. Climb right in and rest that weary body. I’ve never spent close to £150 on a sleeping mat before, but if anything were to happen to the Exped, I would immediately replace it like-for-like. 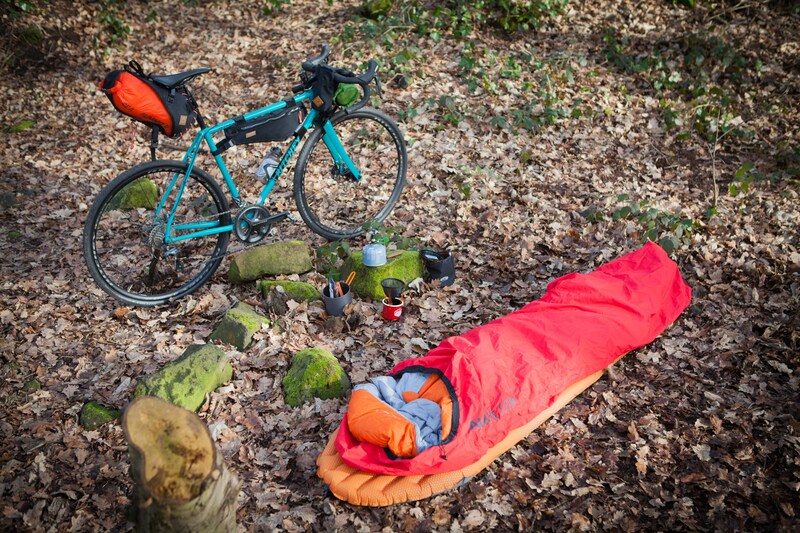 It is probably the single item that has had the biggest impact on my riding and bikepacking in the last year, making overnighter’s significantly more comfortable and enjoyable. Thoroughly recommended. We’re off out to play. 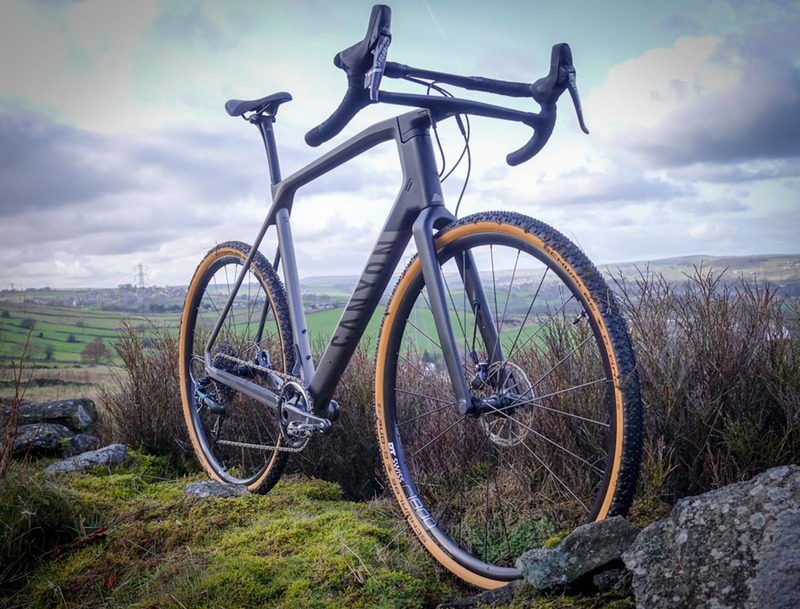 Great write-up, Tom, which very much echos my experience with the Synmat too. After trying quite a few lightweight mats, this one is definitely a keeper. I’ve been using the older Synmat 7 with integrated pump for getting on for a decade now. Great bit of kit that completely changed my camping experience for the better. Would absolutely recommend them.